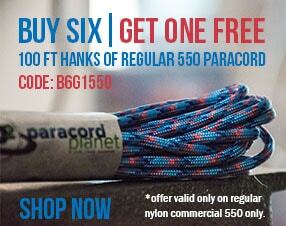 275 Paracord in Multi Colors is one of our stiffer paracord types. It packs 5 inner strands into a 2mm sheath. If 550 cord is too thick or bulky, use 275 cord. It has a sufficient strength rating for many outdoor applications such as camping clotheslines, fishing stringers, or hiking trail markers. Because of its smaller size, it can easily be packed into a survival kit. Other great uses include kid's bracelets and lanyards. 275 cord is also known as: Tether cord, dummy cord, utility cord, accessory cord, tactical cord, or half 550 cord. I love the timeliness of the shipping, the packaging is amazing, The paracord is great quality. 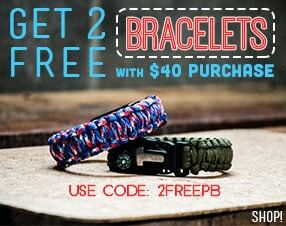 The one issue is that the paracord is not exactly what is portrayed online. In the online pictures the rasta paracord has black in it, but the actual paracord is only a tricolor consisting of yellow as a base with green and red accents. Overall, I am satisfied, and it will do, but I will be looking at the website a little more closely on my next order. Now you just need some better colors / patterns!